Stuart Buchanan, a graduate of the Glasgow School of Art, is a painter who lives and works in Catterline an old fishing village on Scotland’s North East Coast. 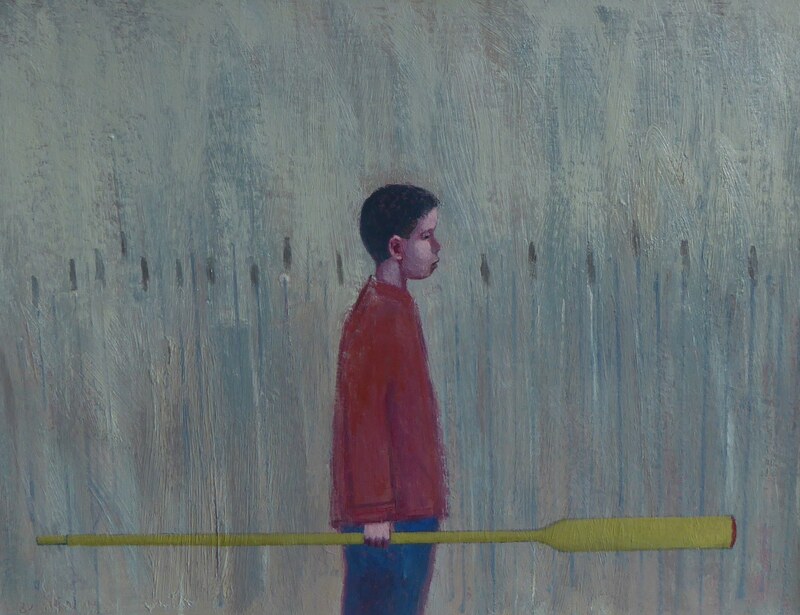 Having relocated from Glasgow with his young family over a decade ago, Stuart continues to develop his practice amidst the rich artistic heritage of his environment. 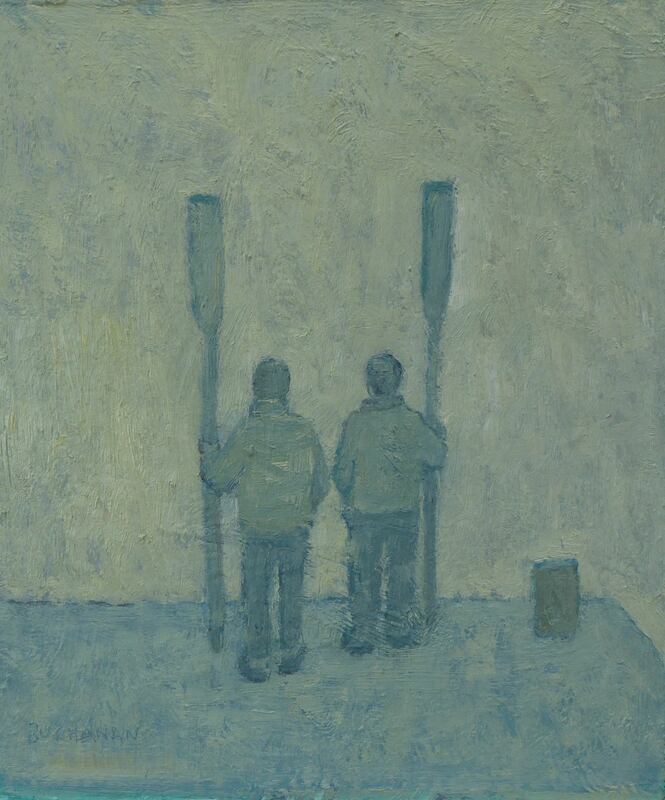 His painterly figurative works are immediately identifiable. His solitary characters and silent couples resonate a peaceful solitude and an enviable meditative state. Stuart has created a comfortable refuge where the viewer can escape the havoc of the outside world. 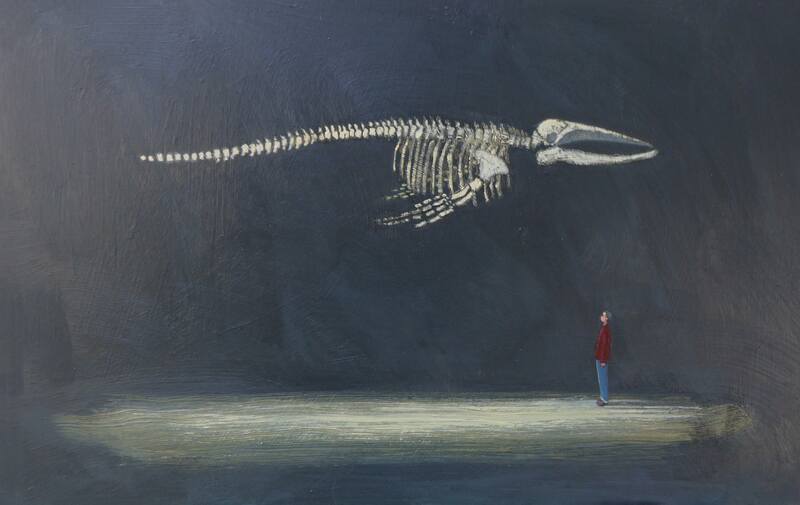 Stuart’s richly textured oils are exhibited locally and nationally. As an undergraduate Stuart attended the Hospitalfield Summer School and in 2006 he undertook the position of Artist in Residence with Aberdeen City Council through pARTners, a Scottish Arts Council initiative. He currently paints full time from the Watchie studio, perched on a clifftop overlooking the North Sea.